Before :- P. Sathasivam, C.J.I., B.S. Chauhan, Ranjana Prakash Desai, Ranjan Gogoi, S.A. Bobde, JJ. Criminal Appeal No. 1750 of 2008. D/d. 10.1.2014. With Criminal Appeal No. 1751 of 2008. With Special Leave Petition (Crl.) No. 9184 of 2008. With Special Leave Petition (Crl.) No. 7209 of 2010. With Special Leave Petition (Crl.) No. 5724 of 2009. With Special Leave Petition (Crl.) No. 5975 of 2009. With Special Leave Petition (Crl.) No. 9040 of 2010. With Special Leave Petition (Crl.) No. 5331 of 2009. With Special Leave Petition (Crl.) No. 9157 of 2009. With Special Leave Petition (Crl.) Nos. 4503-4504 of 2012. For the Appellants :- Mr. Abhisth Kumar, Mrs. Kamaldeep Gulati, Mr. Aniruddha P. Mayee, Ms. Pratibha Jain, Mr. S.R. Setia, Ms. G. Madhavi, Mr. K.V. Mohan, Mr. Anis Ahmed Khan, Mr. Sanjai Kumar Pathak, Ms. Asha Gopalan Nair, Mr. R.K. Gupta, Mr. S.K. Gupta, Mr. M.K. Singh, Mr. Shekhar Kumar and Mr. Bihari Trigunayal, Advocates. For the Respondents :- Mr. Sidharth Luthra, ASG, Mr. C.D. Singh, Ms. Supriya Juneja, Mr. Gurmohan S. Bedi, Mr. Anandna Handa, Ms. Sakshi Kakkar, Ms. Shreya, Mrs. Kamaldeep Gulati, Mr. V. Madhukar, AAG, Mr. Kuldip Singh, Mr. Sachin Dev Sharma, Mr. Dinesh Sharma, Mr. Paritosh Anil, Ms. Anvita Cowshish, Mr. Aftab Ali Khan, Mr. Ram Naresh Yadav, Ms. Pragati Neekhra, Mr. Abhishth Kumar, Ms. Archana Singh, Mr. Ejaz Maqbool, Ms. Hemantika Wahi, Ms. Pratibha Jain, Mr. Jetendra Singh, Ms. Priyanka Singh, Mr. S.K. Sabharwal, Mr. Pahlad Singh Sharma, Ms. Naresh Bakshi, Dr. Kailash Chand and Mr. Adarsh Upadhyay, Advocates. Common Cause, A Registered Society thr. its Director v. Union of India, AIR 1997 SC 1539. All India Bank Officers' Confederation etc. v. Union of India, AIR 1989 SC 2045. Ameer Trading Corporation Ltd. v. Shapoorji Data Processing Ltd., 2004(1) R.C.R. (Civil) 259 . Anju Chaudhary v. State of U.P., 2013(1) R.C.R. (Criminal) 686 : 2013(1) Recent Apex Judgments (R.A.J.) 46 : (2013)6 SCC 384. Brindaban Das v. State of West Bengal, 2009(1) R.C.R. (Criminal) 672 : 2009(1) Recent Apex Judgments (R.A.J.) 400 . Commissioner of Income-tax, New Delhi (Now Rajasthan) v. M/s. East West Import & Export (P) Ltd. (Now known as Asian Distributors Ltd.) Jaipur, AIR 1989 SC 836)..
Dagdu Govindshet Wani v. Punja Vedu Wani, (1936) 38 Bom.L.R. 1189. Dharam Pal v. State of Haryana, 2006(2) R.C.R. (Criminal) 75 : (2004)13 SCC 9. Dharam Pal v. State of Haryana, 2013(3) R.C.R. (Criminal) 787 : 2013(4) Recent Apex Judgments (R.A.J.) 381 . Dilawar Babu Kurane v. State of Maharashtra, 2002(1) R.C.R. (Criminal) 451 . Elachuri Venkatachinnayya v. King-Emperor (1920) ILR 43 Mad 511. Fakhruddin v. The Crown, (1924) I.L.R. 6 Lah. 176. Feroze N. Dotivala v. P.M. Wadhwani, 2002(2) R.C.R. (Rent) 702 : (2003)1 SCC 433. Gomer Sirda v. Queen- Empress, (1898) I.L.R. 25 Cal. 863. Guriya @ Tabassum Tauquir v. State of Bihar, 2007(4) R.C.R. (Criminal) 497 : 2007(5) Recent Apex Judgments (R.A.J.) 352 . Hamdard (Wakf) Laboratories v. Dy. Labour Commissioner, 2007(3) S.C.T. 243 : 2007(4) Recent Apex Judgments (R.A.J.) 450 . Harbhajan Singh v. State of Punjab 2009(3) R.C.R. (Criminal) 916 : 2009(5) Recent Apex Judgments (R.A.J.) 19 : (2009)13 SCC 608.. In Re: Narayanaswamy Naidu v. Unknown, 1 Ind Cas 228. Institute of Chartered Accountants of India v. M/s. Price Waterhouse, AIR 1998 SC 74. Joginder Singh v. State of Punjab, AIR 1979 SC 339. Kalyan Kumar Gogoi v. Ashutosh Agnihotri, 2011(1) R.C.R. (Civil) 873 :2011(1) Recent Apex Judgments (R.A.J.) 463 . Kishun Singh v. State of Bihar, 1993(1) R.C.R. (Criminal) 647 : (1993)2 SCC 16. Labhsing v. Emperor, (1934)35 Cr.L. J. 1261. Lal Suraj @ Suraj Singh v. State of Jharkhand, 2009(1) R.C.R. (Criminal) 504 : (2009)2 SCC 696. Lok Ram v. Nihal Singh, 2006(2) R.C.R. (Criminal) 707 . M.V. Elisabeth v. Harwan Investment & Trading Pvt. Ltd. Hanoekar House, Swatontapeth, Vasco-De-Gama, Goa, AIR 1993 SC 1014. M/s. Mahalakshmi Oil Mills v. State of A.P., AIR 1989 SC 335. M/s. SWIL Ltd. v. State of Delhi, 2001(3) R.C.R. (Criminal) 826 . Michael Machado v. Central Bureau of Investigation, 2000(2) R.C.R. (Criminal) 75 ..
Mohd. Shafi v. Mohd. Rafiq, 2007(2) R.C.R. (Criminal) 762 : 2007(2) Recent Apex Judgments (R.A.J.) 534 . Moly v. State of Kerala, 2004(2) R.C.R. (Criminal) 389 . Municipal Corporation of Delhi v. Ram Kishan Rohtagi, 1983(1) R.C.R. (Criminal) 73 . Niranjan Singh Karam Singh Punjabi v. Jitendra Bhimraj Bijjaya, 1991(1) R.C.R. (Criminal) 89 . Omkar Namdeo Jadhao v. Second Additional Sessions Judge Buldana, AIR 1997 SC 331. P. Kasilingam v. P.S.G. College of Technology, AIR 1995 SC 1395. Palanisamy Gounder v. State, represented by Inspector of Police, 2006(2) R.C.R. (Criminal) 235 : (2005) 12 SCC 327. Patel Chunibhai Dajibha etc. v. Narayanrao Khanderao Jambekar, AIR 1965 SC 1457. Podda Narayana v. State of A.P., AIR 1975 SC 1252. Ponds India Ltd. (merged with H.L. Limited) v. Commissioner of Trade Tax, Lucknow, (2008)8 SCC 369. Punjab Land Development and Reclamation Corporation Ltd., Chandigarh v. Presiding Officer, Labour Court, Chandigarh, (1990) 3 SCC 682. Pyare Lal Bhargava v. The State of Rajasthan, AIR 1963 SC 1094. Raghubans Dubey v. State of Bihar, AIR 1967 SC 1167. Raj Kishore Prasad v. State of Bihar, 1996(2) R.C.R. (Criminal) 804 . Rajendra Singh v. State of U.P., 2007(3) R.C.R. (Criminal) 1022 : 2007(4) Recent Apex Judgments (R.A.J.) 305 . Rakesh v. State of Haryana, 2001(3) R.C.R. (Criminal) 681 . Ram Singh v. Ram Niwas, 2009(3) R.C.R. (Criminal) 501 : 2009(4) Recent Apex Judgments (R.A.J.) 261 : (2009)14 SCC 25. Ram Swaroop v. State of Rajasthan, AIR 2004 SC 2943. Ramnarayan Mor v. The State of Maharashtra, AIR 1964 SC 949. Ranjit Singh v. State of Punjab, 1998(4) R.C.R. (Criminal) 552 . Ratilal Bhanji Mithani v. State of Maharashtra, AIR 1979 SC 94. Rohitash Kumar v. Om Prakash Sharma, 2013(1) S.C.T. 537 . Sahib Din v. The Crown, (1922) I.L.R. 3 Lah. 115. Sarabjit Singh v. State of Punjab, 2009(3) R.C.R. (Criminal) 388 : 2009(4) Recent Apex Judgments (R.A.J.) 144 . Sat Paul v. Delhi Administration, AIR 1976 SC 294. Sohan Lal v. State of Rajasthan, 1990(3) R.C.R. (Criminal) 610 : (1990)4 SCC 580. Sriramulu v. Veerasalingam, (1914) I.L.R. 38 Mad. 585. State (Delhi Administration) v. Laxman Kumar, 1986(1) R.C.R. (Criminal) 184 ). State of Bihar v. Bihar Distillery Ltd., AIR 1997 SC 1511. State of Bihar v. Ramesh Singh, AIR 1977 SC 2018. State of Karnataka v. L. Munishwamy, AIR 1977 SC 1489. State of M.P. v. Dr. Krishna Chandra Saksena, 1997(1) R.C.R. (Criminal) 556 : (1996) 11 SCC 439. State of M.P. v. Mohan Lal Soni, 2000(3) R.C.R. (Criminal) 452 . State of Maharashtra v. Priya Sharan Maharaj, 1997(2) R.C.R. (Criminal) 634 . State of Travancore-Cochin v. Shanmugha Vilas Cashewnut Factory, Quilon, AIR 1953 SC 333. State of U.P. v. Lakshmi Brahman, AIR 1983 SC 439. Stree Atyachar Virodhi Parishad v. Dilip Nathumal Chordia, (1989) 1 SCC 715. Sultana Begum v. Prem Chand Jain, 1997(2) R.C.R. (Civil) 8 . Suman v. State of Rajasthan, 2009(4) R.C.R. (Criminal) 908 : 2009(6) Recent Apex Judgments (R.A.J.) 365 . Sunil Mehta v. State of Gujarat, 2013(3) R.C.R. (Criminal) 238 : 2013(3) Recent Apex Judgments (R.A.J.) 702 : JT 2013(3) SC 328. Suresh v. State of Maharashtra, 2001(2) R.C.R. (Criminal) 278 . The Martin Burn Ltd. v. The Corporation of Calcutta, AIR 1966 SC 529. The South Central Railway Employees Co-operative Credit Society Employees Union, Secundrabad v. The Registrar of Co-operative Societies, 1998(1) S.C.T 703 . The State of Bihar v. Ram Naresh Pandey, AIR 1957 SC 389. Union of India v. Major General Madan Lal Yadav (Retd. ), 1996(2) R.C.R. (Criminal) 103 : 1996(2) S.C.T. 347 . Union of India v. Prafulla Kumar Samal, AIR 1979 SC 366. V.C. Shukla v. State through C.B.I., AIR 1980 SC 962. Vikas v. State of Rajasthan, 2013(4) R.C.R. (Criminal) 948 : 2013(6) Recent Apex Judgments (R.A.J.) 356 : 2013(11) SCALE 23. B.S. Chauhan, J. - This reference before us arises out of a variety of views having been expressed by this Court and several High Courts of the country on the scope and extent of the powers of the courts under the criminal justice system to arraign any person as an accused during the course of inquiry or trial as contemplated under Section 319 of the Code of Criminal Procedure, 1973 (hereinafter referred to as the `Cr.P.C.'). "(1) When the power under sub-section (1) of Section 319 of the Code of addition of accused can be exercised by a Court? Whether application under Section 319 is not maintainable unless the cross-examination of the witness is complete? 3. The reference was desired to be resolved by a three-Judge Bench whereafter the same came up for consideration and vide order dated 8.12.2011, the Court opined that in view of the reference made in the case of Dharam Pal & Ors. v. State of Haryana & Anr., 2006(2) R.C.R. (Criminal) 75 : (2004)13 SCC 9, the issues involved being identical in nature, the same should be resolved by a Constitution Bench consisting of at least five Judges. The Bench felt that since a three-Judge Bench has already referred the matter of Dharam Pal (Supra) to a Constitution Bench, then in that event it would be appropriate that such overlapping issues should also be resolved by a Bench of similar strength. 4. Reference made in the case of Dharam Pal (Supra) came to be answered in relation to the power of a Court of Sessions to invoke Section 319 Cr.P.C. at the stage of committal of the case to a Court of Sessions. The said reference was answered by the Constitution Bench in the case of Dharam Pal & Ors. v. State of Haryana & Anr., 2013(3) R.C.R. (Criminal) 787 : 2013(4) Recent Apex Judgments (R.A.J.) 381 [hereinafter called `Dharam Pal (CB)'], wherein it was held that a Court of Sessions can with the aid of Section 193 Cr.P.C. proceed to array any other person and summon him for being tried even if the provisions of Section 319 Cr.P.C. could not be pressed in service at the stage of committal. (i) What is the stage at which power under Section 319 Cr.P.C. can be exercised? (ii) Whether the word "evidence" used in Section 319(1) Cr.P.C. could only mean evidence tested by cross-examination or the court can exercise the power under the said provision even on the basis of the statement made in the examination-in-chief of the witness concerned? (iii) Whether the word "evidence" used in Section 319(1) Cr.P.C. has been used in a comprehensive sense and includes the evidence collected during investigation or the word "evidence" is limited to the evidence recorded during trial? 7. The Constitutional mandate under Articles 20 and 21 of the Constitution of India, 1950 (hereinafter referred to as the `Constitution') provides a protective umbrella for the smooth administration of justice making adequate provisions to ensure a fair and efficacious trial so that the accused does not get prejudiced after the law has been put into motion to try him for the offence but at the same time also gives equal protection to victims and to the society at large to ensure that the guilty does not get away from the clutches of law. For the empowerment of the courts to ensure that the criminal administration of justice works properly, the law was appropriately codified and modified by the legislature under the Cr.P.C. indicating as to how the courts should proceed in order to ultimately find out the truth so that an innocent does not get punished but at the same time, the guilty are brought to book under the law. It is these ideals as enshrined under the Constitution and our laws that have led to several decisions, whereby innovating methods and progressive tools have been forged to find out the real truth and to ensure that the guilty does not go unpunished. The presumption of innocence is the general law of the land as every man is presumed to be innocent unless proven to be guilty. "24.80 It happens sometimes, though not very often, that a Magistrate hearing a case against certain accused finds from the evidence that some person, other than the accused before him, is also concerned in that very offence or in a connected offence. It is proper that Magistrate should have the power to call and join him in proceedings. Section 351 provides for such a situation, but only if that person happens to be attending the Court. He can then be detained and proceeded against. There is no express provision in Section 351 for summoning such a person if he is not present in court. Such a provision would make Section 351 fairly comprehensive, and we think it proper to expressly provide for that situation. 24.81 Section 351 assumes that the Magistrate proceeding under it has the power of taking cognizance of the new case. It does not, however, say in what manner cognizance is taken by the Magistrate. The modes of taking cognizance are mentioned in Section 190, and are apparently exhaustive. The question is, whether against the newly added accused, cognizance will be supposed to have been taken on the Magistrates own information under Section 190(1), or only in the manner in which cognizance was first taken of the offence against the accused. The question is important, because the methods of inquiry and trial in the two cases differ. About the true position under the existing law, there has been difference of opinion, and we think it should be made clear. It seems to us that the main purpose of this particular provision is that the whole case against all known suspects should be proceeded with expeditiously and convenience requires that cognizance against the newly added accused should be taken in the same manner against the other accused. We, therefore, propose to recast Section 351 making it comprehensive and providing that there will be no difference in the mode of taking cognizance if a new person is added as an accused during the proceedings. It is, of course, necessary (as is already provided) that in such a situation the evidence must he reheard in the presence of the newly added accused." This has to be understood in the context that Section 319 Cr.P.C. empowers only the court to proceed against such person. The word "court" in our hierarchy of criminal courts has been defined under Section 6 Cr.P.C., which includes the Courts of Sessions, Judicial Magistrates, Metropolitan Magistrates as well as Executive Magistrates. The Court of Sessions is defined in Section 9 Cr.P.C. and the Courts of Judicial Magistrates has been defined under Section 11 thereof. The Courts of Metropolitan Magistrates has been defined under Section 16 Cr.P.C. The courts which can try offences committed under the Indian Penal Code, 1860 or any offence under any other law, have been specified under Section 26 Cr.P.C. read with First Schedule. The explanatory note (2) under the heading of "Classification of Offences" under the First Schedule specifies the expression `magistrate of first class' and `any magistrate' to include Metropolitan Magistrates who are empowered to try the offences under the said Schedule but excludes Executive Magistrates. 14. It is at this stage the comparison of the words used under Section 319 Cr.P.C. has to be understood distinctively from the word used under Section 2(g) defining an inquiry other than the trial by a magistrate or a court. Here the legislature has used two words, namely the magistrate or court, whereas under Section 319 Cr.P.C., as indicated above, only the word "court" has been recited. This has been done by the legislature to emphasise that the power under Section 319 Cr.P.C. is exercisable only by the court and not by any officer not acting as a court. Thus, the magistrate not functioning or exercising powers as a court can make an inquiry in particular proceeding other than a trial but the material so collected would not be by a court during the course of an inquiry or a trial. The conclusion therefore, in short, is that in order to invoke the power under Section 319 Cr.P.C., it is only a Court of Sessions or a Court of Magistrate performing the duties as a court under the Cr.P.C. that can utilise the material before it for the purpose of the said Section. 15. Section 319 Cr.P.C. allows the court to proceed against any person who is not an accused in a case before it. Thus, the person against whom summons are issued in exercise of such powers, has to necessarily not be an accused already facing trial. He can either be a person named in Column 2 of the charge-sheet filed under Section 173 Cr.P.C. or a person whose name has been disclosed in any material before the court that is to be considered for the purpose of trying the offence, but not investigated. He has to be a person whose complicity may be indicated and connected with the commission of the offence. 18. Coming to the stage at which power under Section 319 Cr.P.C. can be exercised, in Dharam Pal (Supra), this Court had noticed the conflict in the decisions ofKishun Singh & Ors. v. State of Bihar, 1993(1) R.C.R. (Criminal) 647 : (1993)2 SCC 16 and Ranjit Singh v. State of Punjab, 1998(4) R.C.R. (Criminal) 552 , and referred the matter to the Constitution Bench. However, while referring the matter to a Constitution Bench, this Court affirmed the judgment in Kishun Singh (Supra) and doubted the correctness of the judgment in Ranjit Singh (Supra). In Ranjit Singh (Supra), this Court observed that from the stage of committal till the Sessions Court reaches the stage indicated in Section 230 Cr.P.C., that court can deal with only the accused referred to in Section 209 Cr.P.C. and there is no intermediary stage till then for the Sessions Court to add any other person to the array of the accused, while in Kishun Singh (Supra), this Court came to the conclusion that even the Sessions Court has power under Section 193 Cr.P.C. to take cognizance of the offence and summon other persons whose complicity in the commission of the trial can prima facie be gathered from the materials available on record and need not wait till the stage of Section 319 Cr.P.C. is reached. This Court in Dharam Pal (Supra) held that the effect of Ranjit Singh (Supra) would be that in less serious offences triable by a Magistrate, the said Court would have the power to proceed against those who are mentioned in Column 2 of the charge-sheet, if on the basis of material on record, the Magistrate disagrees with the conclusion reached by the police, but, as far as serious offences triable by the Court of Sessions are concerned, that court will have to wait till the stage of Section 319 Cr.P.C. is reached. 19. At the very outset, we may explain that the issue that was being considered by this Court in Dharam Pal (CB), was the exercise of such power at the stage of committal of a case and the court held that even if Section 319 Cr.P.C. could not be invoked at that stage, Section 193 Cr.P.C. could be invoked for the said purpose. We are not delving into the said issue which had been answered by the five-Judge Bench of this Court. However, we may clarify that the opening words of Section 193 Cr.P.C. categorically recite that the power of the Court of Sessions to take cognizance would commence only after committal of the case by a magistrate. The said provision opens with a non-obstante clause "except as otherwise expressly provided by this code or by any other law for the time being in force". The Section therefore is clarified by the said opening words which clearly means that if there is any other provision under Cr.P.C., expressly making a provision for exercise of powers by the court to take cognizance, then the same would apply and the provisions of Section 193 Cr.P.C. would not be applicable. 23. The stage of inquiry and trial upon cognizance being taken of an offence, has been considered by a large number of decisions of this Court and that it may be useful to extract the same hereunder for proper appreciation of the stage of invoking of the powers under Section 319 Cr.P.C. to understand the meaning that can be attributed to the word `inquiry' and `trial' as used under the Section. "...once cognizance has been taken by the Magistrate, he takes cognizance of an offence and not the offenders; once he takes cognizance of an offence it is his duty to find out who the offenders really are and once he comes to the conclusion that apart from the persons sent up by the police some other persons are involved, it is his duty to proceed against those persons. The summoning of the additional accused is part of the proceeding initiated by his taking cognizance of an offence." "2(g) "inquiry" means every inquiry, other than a trial, conducted under this Code by a Magistrate or Court." 26. In State of U.P. v. Lakshmi Brahman & Anr., AIR 1983 SC 439, this Court held that from the stage of filing of charge-sheet to ensuring the compliance of provision of Section 207 Cr.P.C., the court is only at the stage of inquiry and no trial can be said to have commenced. The above view has been held to be per incurium in Raj Kishore Prasad v. State of Bihar & Anr., 1996(2) R.C.R. (Criminal) 804 , wherein this Court while observing that Section 319 (1) Cr.P.C. operates in an ongoing inquiry into, or trial of, an offence, held that at the stage of Section 209 Cr.P.C., the court is neither at the stage of inquiry nor at the stage of trial. Even at the stage of ensuring compliance of Sections 207 and 208 Cr.P.C., it cannot be said that the court is at the stage of inquiry because there is no judicial application of mind and all that the Magistrate is required to do is to make the case ready to be heard by the Court of Sessions. "The words `tried' and `trial' appear to have no fixed or universal meaning. No doubt, in quite a number of sections in the Code to which our attention has been drawn the words `tried' and `trial' have been used in the sense of reference to a stage after the inquiry. That meaning attaches to the words in those sections having regard to the context in which they are used. There is no reason why where these words are used in another context in the Code, they should necessarily be limited in their connotation and significance. They are words which must be considered with regard to the particular context in which they are used and with regard to the scheme and purpose of the provision under consideration." "Once a charge is framed, the Magistrate has no power under Section 227 or any other provision of the Code to cancel the charge, and reverse the proceedings to the stage of Section 253 and discharge the accused. The trial in a warrant case starts with the framing of charge; prior to it the proceedings are only an inquiry. After the framing of charge if the accused pleads not guilty, the Magistrate is required to proceed with the trial in the manner provided in Sections 254 to 258 to a logical end." "...The proceedings starting with Section 238 of the Code including any discharge or framing of charges under Section 239 or 240 amount to a trial..."
"It would, therefore, be clear that trial means act of proving or judicial examination or determination of the issues including its own jurisdiction or authority in accordance with law or adjudging guilt or innocence of the accused including all steps necessary thereto. The trial commences with the performance of the first act or steps necessary or essential to proceed with the trial. Our conclusion further gets fortified by the scheme of the trial of a criminal case under the Code of Criminal Procedure, 1973, viz., Chapter XIV "Conditions requisite for initiation of proceedings" containing Sections 190 to 210, Chapter XVIII containing Sections 225 to 235 and dealing with "trial before a Court of Sessions" pursuant to committal order under Section 209 and in Chapter XIX "trial of warrant cases by Magistrates" containing Sections 238 to 250 etc. It is settled law that under the said Code trial commences the moment cognizance of the offence is taken and process is issued to the accused for his appearance etc. Equally, at a sessions trial, the court considers the committal order under Section 209 by the Magistrate and proceeds further. It takes cognizance of the offence from that stage and proceeds with the trial. The trial begins with the taking of the cognizance of the offence and taking further steps to conduct the trial." "(i) In case of trials before Sessions Court the trials shall be treated to have commenced when charges are framed under Section 228 of the Code of Criminal Procedure, 1973 in the concerned cases. (ii) In cases of trials of warrant cases by Magistrates if the cases are instituted upon police reports the trials shall be treated to have commenced when charges are framed under Section 240 of the Code of Criminal Procedure, 1973, while in trials of warrant cases by Magistrates when cases are instituted otherwise than on police report such trials shall be treated to have commenced when charges are framed against the concerned accused under Section 246 of the Code of Criminal Procedure, 1973. (iii) In cases of trials of summons cases by Magistrates the trials would be considered to have commenced when the accused who appear or are brought before the Magistrate are asked under Section 251 whether they plead guilty or have any defence to make." 33. In In Re: Narayanaswamy Naidu v. Unknown, 1 Ind Cas 228, a Full Bench of the Madras High Court held that "Trial begins when the accused is charged and called on to answer and then the question before the Court is whether the accused is to be acquitted or convicted and not whether the complaint is to be dismissed or the accused discharged." A similar view has been taken by Madras High Court subsequently in Sriramulu v. Veerasalingam, (1914) I.L.R. 38 Mad. 585. "There is no doubt that the Court did take the view that in a warrant case the trial only commences from the framing of the charge ..But, according to my experience of the administration of criminal justice in this Presidency, which is not inconsiderable, the Courts here have always accepted the definition of trial which has been given in Gomer Sirda v. Queen-Empress, (1898) I.L.R. 25 Cal. 863, that is to say, trial has always been understood to mean the proceeding which commences when the case is called on with the Magistrate on the Bench, the accused in the dock and the representatives of the prosecution and, defence, if the accused be defended, present in Court for the hearing of the case." A similar view has been taken by the Lahore High Court in Sahib Din v. The Crown, (1922) I.L.R. 3 Lah. 115, wherein it was held that for the purposes of Section 350 of the Code, a trial cannot be said to commence only when a charge is framed. The trial covers the whole of the proceedings in a warrant case. This case was followed in Fakhruddin v. The Crown, (1924) I.L.R. 6 Lah. 176; and in Labhsing v. Emperor, (1934)35 Cr.L. J. 1261. 35. In view of the above, the law can be summarised to the effect that as `trial' means determination of issues adjudging the guilt or the innocence of a person, the person has to be aware of what is the case against him and it is only at the stage of framing of the charges that the court informs him of the same, the `trial' commences only on charges being framed. Thus, we do not approve the view taken by the courts that in a criminal case, trial commences on cognizance being taken. 36. Section 2(g) Cr.P.C. and the case laws referred to above, therefore, clearly envisage inquiry before the actual commencement of the trial, and is an act conducted under Cr.P.C. by the Magistrate or the court. The word `inquiry' is, therefore, not any inquiry relating to the investigation of the case by the investigating agency but is an inquiry after the case is brought to the notice of the court on the filing of the charge-sheet. The court can thereafter proceed to make inquiries and it is for this reason that an inquiry has been given to mean something other than the actual trial. 37. Even the word "course" occurring in Section 319 Cr.P.C., clearly indicates that the power can be exercised only during the period when the inquiry has been commenced and is going on or the trial which has commenced and is going on. It covers the entire wide range of the process of the pre-trial and the trial stage. The word "course" therefore, allows the court to invoke this power to proceed against any person from the initial stage of inquiry upto the stage of the conclusion of the trial. The court does not become functus officio even if cognizance is taken so far as it is looking into the material qua any other person who is not an accused. The word "course" ordinarily conveys a meaning of a continuous progress from one point to the next in time and conveys the idea of a period of time; duration and not a fixed point of time. (See: Commissioner of Income-tax, New Delhi (Now Rajasthan) v. M/s. East West Import & Export (P) Ltd. (Now known as Asian Distributors Ltd.) Jaipur, AIR 1989 SC 836). 38. In a somewhat similar manner, it has been attributed to word "course" the meaning of being a gradual and continuous flow advanced by journey or passage from one place to another with reference to period of time when the movement is in progress. (See: State of Travancore-Cochin & Ors. v. Shanmugha Vilas Cashewnut Factory, Quilon, AIR 1953 SC 333). 39. To say that powers under Section 319 Cr.P.C. can be exercised only during trial would be reducing the impact of the word `inquiry' by the court. It is a settled principle of law that an interpretation which leads to the conclusion that a word used by the legislature is redundant, should be avoided as the presumption is that the legislature has deliberately and consciously used the words for carrying out the purpose of the Act. The legal maxim "A Verbis Legis Non Est Recedendum" which means, "from the words of law, there must be no departure" has to be kept in mind. 41. No word in a statute has to be construed as surplusage. No word can be rendered ineffective or purposeless. Courts are required to carry out the legislative intent fully and completely. While construing a provision, full effect is to be given to the language used therein, giving reference to the context and other provisions of the Statute. By construction, a provision should not be reduced to a "dead letter" or "useless lumber". An interpretation which renders a provision an otiose should be avoided otherwise it would mean that in enacting such a provision, the legislature was involved in "an exercise in futility" and the product came as a "purposeless piece" of legislation and that the provision had been enacted without any purpose and the entire exercise to enact such a provision was "most unwarranted besides being uncharitable." (Vide: Patel Chunibhai Dajibha etc. v. Narayanrao Khanderao Jambekar & Anr., AIR 1965 SC 1457; The Martin Burn Ltd. v. The Corporation of Calcutta, AIR 1966 SC 529; M.V. Elisabeth & Ors. v. Harwan Investment & Trading Pvt. Ltd. Hanoekar House, Swatontapeth, Vasco-De-Gama, Goa, AIR 1993 SC 1014; Sultana Begum v. Prem Chand Jain, 1997(2) R.C.R. (Civil) 8 ; State of Bihar & Ors. etc.etc. v. Bihar Distillery Ltd. etc. etc., AIR 1997 SC 1511; Institute of Chartered Accountants of India v. M/s. Price Waterhouse & Anr., AIR 1998 SC 74; and The South Central Railway Employees Co-operative Credit Society Employees Union, Secundrabad v. The Registrar of Co-operative Societies & Ors., 1998(1) S.C.T 703 ). "The Court has to keep in mind the fact that, while interpreting the provisions of a Statute, it can neither add, nor subtract even a single word... A section is to be interpreted by reading all of its parts together, and it is not permissible, to omit any part thereof. The Court cannot proceed with the assumption that the legislature, while enacting the Statute has committed a mistake; it must proceed on the footing that the legislature intended what it has said; even if there is some defect in the phraseology used by it in framing the statute, and it is not open to the court to add and amend, or by construction, make up for the deficiencies, which have been left in the Act. The Statute is not to be construed in light of certain notions that the legislature might have had in mind, or what the legislature is expected to have said, or what the legislature might have done, or what the duty of the legislature to have said or done was. The Courts have to administer the law as they find it, and it is not permissible for the Court to twist the clear language of the enactment, in order to avoid any real, or imaginary hardship which such literal interpretation may cause.under the garb of interpreting the provision, the Court does not have the power to add or subtract even a single word, as it would not amount to interpretation, but legislation." Thus, by no means it can be said that provisions of Section 319 Cr.P.C. cannot be pressed into service during the course of `inquiry'. The word `inquiry' is not surpulsage in the said provision. 45. It may be pertinent to refer to the decision in the case of Raj Kishore Prasad (supra) where, in order to avoid any delay in trial, the court emphasised that such a power should be exercised keeping in view the context in which the words "inquiry" and "trial" have been used under Section 319 Cr.P.C. and came to the conclusion that such a power is not available at the pre-trial stage and should be invoked only at the stage of inquiry or after evidence is recorded. "So from the stage of committal till the Sessions Court reaches the stage indicated in Section 230 of the Code, that court can deal with only the accused referred to in Section 209 of the Code. There is no intermediary stage till then for the Sessions Court to add any other person to the array of the accused. Thus, once the Sessions Court takes cognizance of the offence pursuant to the committal order, the only other stage when the court is empowered to add any other person to the array of the accused is after reaching evidence collection when powers under Section 319 of the Code can be invoked"
47. In Kishun Singh (Supra), the Court while considering the provision of the old Code, the Law Commission's Recommendation and the provisions in the Cr.P.C., held that Section 319 Cr.P.C. is an improved provision upon the earlier one. It has removed the difficulty of taking cognizance as cognizance against the added person would be deemed to have been taken as originally against the other co-accused. Therefore, on Magistrate committing the case under Section 209 Cr.P.C. to the Court of Sessions, the bar of Section 193 Cr.P.C. gets lifted thereby investing the Court of Sessions complete and unfettered jurisdiction of the court of original jurisdiction to take cognizance of the offence which would include the summoning of the person or persons whose complicity in the commission of the crime can prima facie be gathered from the material available on record, though who is not an accused before the court. 48. In Dharam Pal (CB), the Constitution Bench approved the decision in Kishun Singh (Supra) that the Sessions Judge has original power to summon accused holding that "the Sessions Judge was entitled to issue summons under Section 193 Code of Criminal Procedure upon the case being committed to him by the Magistrate. The key words in Section 193 are that "no Court of Session shall take cognizance of any offence as a Court of original jurisdiction unless the case has been committed to it by a Magistrate under this Code." The above provision entails that a case must, first of all, be committed to the Court of Session by the Magistrate. The second condition is that only after the case had been committed to it, could the Court of Session take cognizance of the offence exercising original jurisdiction. Although, an attempt has been made to suggest that the cognizance indicated in Section 193 deals not with cognizance of an offence, but of the commitment order passed by the learned Magistrate, we are not inclined to accept such a submission in the clear wordings of Section 193 that the Court of Session may take cognizance of the offences under the said Section"
49. It is thus aptly clear that until and unless the case reaches the stage of inquiry or trial by the court, the power under Section 319 Cr.P.C. cannot be exercised. In fact, this proposition does not seem to have been disturbed by the Constitution Bench in Dharam Pal (CB). The dispute therein was resolved visualising a situation wherein the court was concerned with procedural delay and was of the opinion that the Sessions Court should not necessarily wait till the stage of Section 319 Cr.P.C. is reached to direct a person, not facing trial, to appear and face trial as an accused. We are in full agreement with the interpretation given by the Constitution Bench that Section 193 Cr.P.C. confers power of original jurisdiction upon the Sessions Court to add an accused once the case has been committed to it. 51. There is yet another set of provisions which form part of inquiry relevant for the purposes of Section 319 Cr.P.C. i.e. provisions of Sections 200, 201, 202, etc. Cr.P.C. applicable in the case of Complaint Cases. As has been discussed herein, evidence means evidence adduced before the court. Complaint Cases is a distinct category of criminal trial where some sort of evidence in the strict legal sense of Section 3 of the Evidence Act 1872, (hereinafter referred to as the `Evidence Act') comes before the court. There does not seem to be any restriction in the provisions of Section 319 Cr.P.C. so as to preclude such evidence as coming before the court in Complaint Cases even before charges have been framed or the process has been issued. But at that stage as there is no accused before the Court, such evidence can be used only to corroborate the evidence recorded during the trial for the purpose of Section 319 Cr.P.C., if so required. Question No. (iii) : Whether the word "evidence" used in Section 319(1) Cr.P.C. has been used in a comprehensive sense and includes the evidence collected during investigation or the word "evidence" is limited to the evidence recorded during trial? 54. To answer the questions and to resolve the impediment that is being faced by the trial courts in exercising of powers under Section 319 Cr.P.C., the issue has to be investigated by examining the circumstances which give rise to a situation for the court to invoke such powers. The circumstances that lead to such inference being drawn up by the court for summoning a person arise out of the availability of the facts and material that comes up before the court and are made the basis for summoning such a person as an accomplice to the offence alleged to have been committed. The material should disclose the complicity of the person in the commission of the offence which has to be the material that appears from the evidence during the course of any inquiry into or trial of offence. The words as used in Section 319 Cr.P.C. indicate that the material has to be "where ....it appears from the evidence" before the court. 56. According to Tomlin's Law Dictionary, Evidence is "the means from which an inference may logically be drawn as to the existence of a fact. It consists of proof by testimony of witnesses, on oath; or by writing or records." Bentham defines `evidence' as "any matter of fact, the effect, tendency or design of which presented to mind, is to produce in the mind a persuasion concerning the existence of some other matter of fact-a persuasion either affirmative or dis-affirmative of its existence. Of the two facts so connected, the latter may be distinguished as the principal fact, and the former as the evidentiary fact." According to Wigmore on Evidence, evidence represents "any knowable fact or group of facts, not a legal or a logical principle, considered with a view to its being offered before a legal tribunal for the purpose of producing a persuasion, positive or negative, on the part of the tribunal, as to the truth of a proposition, not of law, or of logic, on which the determination of the tribunal is to be asked." 57. The provision and the above-mentioned definitions clearly suggest that it is an exhaustive definition. Wherever the words "means and include" are used, it is an indication of the fact that the definition `is a hard and fast definition', and no other meaning can be assigned to the expression that is put down in the definition. It indicates an exhaustive explanation of the meaning which, for the purposes of the Act, must invariably be attached to these words or expression. (Vide: M/s. Mahalakshmi Oil Mills v. State of A.P., AIR 1989 SC 335; Punjab Land Development and Reclamation Corporation Ltd., Chandigarh v. Presiding Officer, Labour Court, Chandigarh & Ors., (1990) 3 SCC 682; P. Kasilingam & Ors. v. P.S.G. College of Technology & Ors., AIR 1995 SC 1395; Hamdard (Wakf) Laboratories v. Dy. Labour Commissioner & Ors., 2007(3) S.C.T. 243 : 2007(4) Recent Apex Judgments (R.A.J.) 450 ; and Ponds India Ltd. (merged with H.L. Limited) v. Commissioner of Trade Tax, Lucknow, (2008) 8 SCC 369). "Generally, ordinary meaning is to be assigned to any word or phrase used or defined in a statute. Therefore, unless there is any vagueness or ambiguity, no occasion will arise to interpret the term in a manner which may add something to the meaning of the word which ordinarily does not so mean by the definition itself, more particularly, where it is a restrictive definition. Unless there are compelling reasons to do so, meaning of a restrictive and exhaustive definition would not be expanded or made extensive to embrace things which are strictly not within the meaning of the word as defined." We, therefore proceed to examine the matter further on the premise that the definition of word "evidence" under the Evidence Act is exhaustive. "18. The word "evidence" is used in common parlance in three different senses: (a) as equivalent to relevant, (b) as equivalent to proof, and (c) as equivalent to the material, on the basis of which courts come to a conclusion about the existence or non-existence of disputed facts. Though, in the definition of the word "evidence" given in Section 3 of the Evidence Act one finds only oral and documentary evidence, this word is also used in phrases such as best evidence, circumstantial evidence, corroborative evidence, derivative evidence, direct evidence, documentary evidence, hearsay evidence, indirect evidence, oral evidence, original evidence, presumptive evidence, primary evidence, real evidence, secondary evidence, substantive evidence, testimonial evidence, etc." 60. In relation to a Civil Case, this court in Ameer Trading Corporation Ltd. v. Shapoorji Data Processing Ltd., 2004(1) R.C.R. (Civil) 259 , held that the examination of a witness would include evidence-in-chief, cross-examination or re-examination. In Omkar Namdeo Jadhao & Ors. v. Second Additional Sessions Judge Buldana & Anr., AIR 1997 SC 331; and Ram Swaroop & Ors. v. State of Rajasthan, AIR 2004 SC 2943, this Court held that statements recorded under Section 161 Cr.P.C. during the investigation are not evidence. Such statements can be used at the trial only for contradictions or omissions when the witness is examined in the court. (See also: Podda Narayana & Ors. v. State of A.P., AIR 1975 SC 1252; Sat Paul v. Delhi Administration, AIR 1976 SC 294; and State (Delhi Administration) v. Laxman Kumar & Ors., 1986(1) R.C.R. (Criminal) 184 ). 61. In Lok Ram v. Nihal Singh & Anr., 2006(2) R.C.R. (Criminal) 707 , it was held that it is evident that a person, even though had initially been named in the FIR as an accused, but not charge-sheeted, can also be added as an accused to face the trial. The trial court can take such a step to add such persons as accused only on the basis of evidence adduced before it and not on the basis of materials available in the charge- sheet or the case diary, because such materials contained in the charge-sheet or the case diary do not constitute evidence. "9. It was urged in the alternative by counsel for the appellants that even if the expression "evidence" may include documents, such documents would only be those which are duly proved at the enquiry for commitment, because what may be used in a trial, civil or criminal, to support the judgment of a Court is evidence duly proved according to law. But by the Evidence Act which applies to the trial of all criminal cases, the expression "evidence" is defined in Section 3 as meaning and including all statements which the Court permits or requires to be made before it by witnesses, in relation to matters of fact under enquiry and documents produced for the inspection of the Court. There is no restriction in this definition to documents which are duly proved by evidence." 63. Similarly, this Court in Sunil Mehta & Anr. v. State of Gujarat & Anr., 2013(3) R.C.R. (Criminal) 238 : 2013(3) Recent Apex Judgments (R.A.J.) 702 : JT 2013(3) SC 328, held that "It is trite that evidence within the meaning of the Evidence Act and so also within the meaning of Section 244 of the Cr.P.C. is what is recorded in the manner stipulated under Section 138 in the case of oral evidence. Documentary evidence would similarly be evidence only if the documents are proved in the manner recognised and provided for under the Evidence Act unless of course a statutory provision makes the document admissible as evidence without any formal proof thereof." 64. In Guriya @ Tabassum Tauquir & Ors. v. State of Bihar & Anr., 2007(4) R.C.R. (Criminal) 497 : 2007(5) Recent Apex Judgments (R.A.J.) 352 , this Court held that in exercise of the powers under Section 319 Cr.P.C., the court can add a new accused only on the basis of evidence adduced before it and not on the basis of materials available in the charge sheet or the case diary. "11. On a plain reading of sub-section (1) of Section 319 there can be no doubt that it must appear from the evidence tendered in the course of any inquiry or trial that any person not being the accused has committed any offence for which he could be tried together with the accused. This power (under Section 319(1)), it seems clear to us, can be exercised only if it so appears from the evidence at the trial and not otherwise. Therefore, this sub-section contemplates existence of some evidence appearing in the course of trial wherefrom the court can prima facie conclude that the person not arraigned before it is also involved in the commission of the crime for which he can be tried with those already named by the police. Even a person who has earlier been discharged would fall within the sweep of the power conferred by S. 319 of the Code. Therefore, stricto sensu, Section 319 of the Code cannot be invoked in a case like the present one where no evidence has been led at a trial wherefrom it can be said that the appellants appear to have been involved in the commission of the crime along with those already sent up for trial by the prosecution. 12. But then it must be conceded that Section 319 covers the post-cognizance stage where in the course of an inquiry or trial the involvement or complicity of a person or persons not named by the investigating agency has surfaced which necessitates the exercise of the discretionary power conferred by the said provision.."
67. In Lal Suraj @ Suraj Singh & Anr. v. State of Jharkhand, 2009(1) R.C.R. (Criminal) 504 : (2009)2 SCC 696, a two-Judge Bench of this Court held that "a court framing a charge would have before it all the materials on record which were required to be proved by the prosecution. In a case where, however, the court exercises its jurisdiction under Section 319 Cr.P.C., the power has to be exercised on the basis of the fresh evidence brought before the court. There lies a fine but clear distinction." 68. A similar view has been reiterated by this Court in Rajendra Singh v. State of U.P. & Anr., 2007(3) R.C.R. (Criminal) 1022 : 2007(4) Recent Apex Judgments (R.A.J.) 305 , observing that court should not exercise the power under Section 319 Cr.P.C. on the basis of materials available in the charge-sheet or the case diary, because such materials contained in the charge-sheet or the case diary do not constitute evidence. The word `evidence' in Section 319 Cr.P.C. contemplates the evidence of witnesses given in the court. 69. Ordinarily, it is only after the charges are framed that the stage of recording of evidence is reached. A bare perusal of Section 227 Cr.P.C. would show that the legislature has used the terms "record of the case" and the "documents submitted therewith". It is in this context that the word `evidence' as appearing in Section 319 Cr.P.C. has to be read and understood. The material collected at the stage of investigation can at best be used for a limited purpose as provided under Section 157 of the Evidence Act i.e. to corroborate or contradict the statements of the witnesses recorded before the court. Therefore, for the exercise of power under Section 319 Cr.P.C., the use of word `evidence' means material that has come before the court during an inquiry or trial by it and not otherwise. If from the evidence led in the trial the court is of the opinion that a person not accused before it has also committed the offence, it may summon such person under Section 319 Cr.P.C. 71. It is, therefore, clear that the word "evidence" in Section 319 Cr.P.C. means only such evidence as is made before the court, in relation to statements, and as produced before the court, in relation to documents. It is only such evidence that can be taken into account by the Magistrate or the Court to decide whether power under Section 319 Cr.P.C. is to be exercised and not on the basis of material collected during investigation. 77. It is, therefore, not any material that can be utilised, rather it is that material after cognizance is taken by a court, that is available to it while making an inquiry into or trying an offence, that the court can utilise or take into consideration for supporting reasons to summon any person on the basis of evidence adduced before the Court, who may be on the basis of such material, treated to be an accomplice in the commission of the offence. The inference that can be drawn is that material which is not exactly evidence recorded before the court, but is a material collected by the court, can be utilised to corroborate evidence already recorded for the purpose of summoning any other person, other than the accused. 78. This would harmonise such material with the word `evidence' as material that would be supportive in nature to facilitate the exposition of any other accomplice whose complicity in the offence may have either been suppressed or escaped the notice of the court. 79. The word "evidence" therefore has to be understood in its wider sense both at the stage of trial and, as discussed earlier, even at the stage of inquiry, as used under Section 319 Cr.P.C. The court, therefore, should be understood to have the power to proceed against any person after summoning him on the basis of any such material as brought forth before it. The duty and obligation of the court becomes more onerous to invoke such powers cautiously on such material after evidence has been led during trial. 80. In view of the discussion made and the conclusion drawn hereinabove, the answer to the aforesaid question posed is that apart from evidence recorded during trial, any material that has been received by the court after cognizance is taken and before the trial commences, can be utilised only for corroboration and to support the evidence recorded by the court to invoke the power under Section 319 Cr.P.C. The `evidence' is thus, limited to the evidence recorded during trial. Q. (ii) Does the word `evidence' in Section 319 Cr.P.C. means as arising in Examination-in-Chief or also together with Cross- Examination? 81. The second question referred to herein is in relation to the word `evidence` as used under Section 319 Cr.P.C., which leaves no room for doubt that the evidence as understood under Section 3 of the Evidence Act is the statement of the witnesses that are recorded during trial and the documentary evidence in accordance with the Evidence Act, which also includes the document and material evidence in the Evidence Act. Such evidence begins with the statement of the prosecution witnesses, therefore, is evidence which includes the statement during examination-in-chief. In Rakesh (Supra), it was held that "It is true that finally at the time of trial the accused is to be given an opportunity to cross-examine the witness to test its truthfulness. But that stage would not arise while exercising the court's power under Section 319 Cr.P.C. Once the deposition is recorded, no doubt there being no cross-examination, it would be a prima facie material which would enable the Sessions Court to decide whether powers under Section 319 should be exercised or not." In Ranjit Singh (Supra), this Court held that "it is not necessary for the court to wait until the entire evidence is collected," for exercising the said power. In Mohd. Shafi (Supra), it was held that the pre-requisite for exercise of power under Section 319 Cr.P.C. was the satisfaction of the court to proceed against a person who is not an accused but against whom evidence occurs, for which the court can even wait till the cross examination is over and that there would be no illegality in doing so. A similar view has been taken by a two-Judge Bench in the case of Harbhajan Singh & Anr. v. State of Punjab & Anr. 2009(3) R.C.R. (Criminal) 916 : 2009(5) Recent Apex Judgments (R.A.J.) 19 : (2009)13 SCC 608. This Court in Hardeep Singh (Supra) seems to have misread the judgment in Mohd. 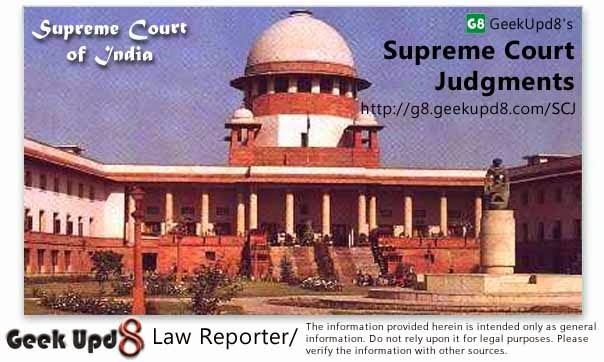 Shafi (Supra), as it construed that the said judgment laid down that for the exercise of power under Section 319 Cr.P.C., the court has to necessarily wait till the witness is cross examined and on complete appreciation of evidence, come to the conclusion whether there is a need to proceed under Section 319 Cr.P.C. 83. As held in Mohd. Shafi (Supra) and Harbhajan Singh (Supra), all that is required for the exercise of the power under Section 319 Cr.P.C. is that, it must appear to the court that some other person also who is not facing the trial, may also have been involved in the offence. The pre-requisite for the exercise of this power is similar to the prima facie view which the magistrate must come to in order to take cognizance of the offence. Therefore, no straight-jacket formula can and should be laid with respect to conditions precedent for arriving at such an opinion and, if the Magistrate/Court is convinced even on the basis of evidence appearing in Examination-in-Chief, it can exercise the power under Section 319 Cr.P.C. and can proceed against such other person(s). It is essential to note that the Section also uses the words `such person could be tried' instead of should be tried. Hence, what is required is not to have a mini-trial at this stage by having examination and cross-examination and thereafter rendering a decision on the overt act of such person sought to be added. In fact, it is this mini-trial that would affect the right of the person sought to be arraigned as an accused rather than not having any cross-examination at all, for in light of sub-section 4 of Section 319 Cr.P.C., the person would be entitled to a fresh trial where he would have all the rights including the right to cross examine prosecution witnesses and examine defence witnesses and advance his arguments upon the same. Therefore, even on the basis of Examination- in-Chief, the Court or the Magistrate can proceed against a person as long as the court is satisfied that the evidence appearing against such person is such that it prima facie necessitates bringing such person to face trial. In fact, Examination-in-Chief untested by Cross Examination, undoubtedly in itself, is an evidence. The word "appear" means "clear to the comprehension", or a phrase near to, if not synonymous with "proved". It imparts a lesser degree of probability than proof. 87. In Pyare Lal Bhargava v. The State of Rajasthan, AIR 1963 SC 1094, a four-Judge Bench of this Court was concerned with the meaning of the word `appear'. The court held that the appropriate meaning of the word `appears' is `seems'. It imports a lesser degree of probability than proof. In Ram Singh & Ors. v. Ram Niwas & Anr., 2009(3) R.C.R. (Criminal) 501 : 2009(4) Recent Apex Judgments (R.A.J.) 261 : (2009)14 SCC 25, a two-Judge Bench of this Court was again required to examine the importance of the word `appear' as appearing in the Section. The Court held that for the fulfillment of the condition that it appears to the court that a person had committed an offence, the court must satisfy itself about the existence of an exceptional circumstance enabling it to exercise an extraordinary jurisdiction. What is, therefore, necessary for the court is to arrive at a satisfaction that the evidence adduced on behalf of the prosecution, if unrebutted, may lead to conviction of the persons sought to be added as an accused in the case. 88. At the time of taking cognizance, the court has to see whether a prima facie case is made out to proceed against the accused. Under Section 319 Cr.P.C., though the test of prima facie case is the same, the degree of satisfaction that is required is much stricter. A two- Judge Bench of this Court in Vikas v. State of Rajasthan, 2013(4) R.C.R. (Criminal) 948 : 2013(6) Recent Apex Judgments (R.A.J.) 356 : 2013(11) SCALE 23, held that on the objective satisfaction of the court a person may be `arrested' or `summoned', as the circumstances of the case may require, if it appears from the evidence that any such person not being the accused has committed an offence for which such person could be tried together with the already arraigned accused persons. "Be it noted, the court need not be satisfied that he has committed an offence. It need only appear to it that he has committed an offence. In other words, from the evidence it need only appear to it that someone else has committed an offence, to exercise jurisdiction under Section 319 of the Code. Even then, it has a discretion not to proceed, since the expression used is "may" and not "shall". The legislature apparently wanted to leave that discretion to the trial court so as to enable it to exercise its jurisdiction under this section. The expression "appears" indicates an application of mind by the court to the evidence that has come before it and then taking a decision to proceed under Section 319 of the Code or not." "....For the aforementioned purpose, the courts are required to apply stringent tests; one of the tests being whether evidence on record is such which would reasonably lead to conviction of the person sought to be summoned.....Whereas the test of prima facie case may be sufficient for taking cognizance of an offence at the stage of framing of charge, the court must be satisfied that there exists a strong suspicion. While framing charge in terms of Section 227 of the Code, the court must consider the entire materials on record to form an opinion that the evidence if unrebutted would lead to a judgment of conviction. Whether a higher standard be set up for the purpose of invoking the jurisdiction under Section 319 of the Code is the question. The answer to these questions should be rendered in the affirmative. Unless a higher standard for the purpose of forming an opinion to summon a person as an additional accused is laid down, the ingredients thereof viz. (i) an extraordinary case, and (ii) a case for sparingly (sic sparing) exercise of jurisdiction, would not be satisfied." 92. In Brindaban Das & Ors. v. State of West Bengal, 2009(1) R.C.R. (Criminal) 672 : 2009(1) Recent Apex Judgments (R.A.J.) 400 , a two-Judge Bench of this Court took a similar view observing that the court is required to consider whether such evidence would be sufficient to convict the person being summoned. Since issuance of summons under Section 319 Cr.P.C. entails a de novo trial and a large number of witnesses may have been examined and their re-examination could prejudice the prosecution and delay the trial, the trial court has to exercise such discretion with great care and perspicacity. A similar view has been re-iterated by this Court in Michael Machado & Anr. v. Central Bureau of Investigation & Ors., 2000(2) R.C.R. (Criminal) 75 . 93. However, there is a series of cases wherein this Court while dealing with the provisions of Sections 227, 228, 239, 240, 241, 242 and 245 Cr.P.C., has consistently held that the court at the stage of framing of the charge has to apply its mind to the question whether or not there is any ground for presuming the commission of an offence by the accused. The court has to see as to whether the material brought on record reasonably connect the accused with the offence. Nothing more is required to be enquired into. While dealing with the aforesaid provisions, the test of prima facie case is to be applied. The Court has to find out whether the materials offered by the prosecution to be adduced as evidence are sufficient for the court to proceed against the accused further. (Vide: State of Karnataka v. L. Munishwamy & Ors., AIR 1977 SC 1489; All India Bank Officers' Confederation etc. v. Union of India & Ors., AIR 1989 SC 2045; Stree Atyachar Virodhi Parishad v. Dilip Nathumal Chordia, (1989) 1 SCC 715; State of M.P. v. Dr. Krishna Chandra Saksena, 1997(1) R.C.R. (Criminal) 556 : (1996) 11 SCC 439; and State of M.P. v. Mohan Lal Soni, 2000(3) R.C.R. (Criminal) 452 ). 94. In Dilawar Babu Kurane v. State of Maharashtra, 2002(1) R.C.R. (Criminal) 451 , this Court while dealing with the provisions of Sections 227 and 228 Cr.P.C., placed a very heavy reliance on the earlier judgment of this Court in Union of India v. Prafulla Kumar Samal & Anr., AIR 1979 SC 366 and held that while considering the question of framing the charges, the court may weigh the evidence for the limited purpose of finding out whether or not a prima facie case against the accused has been made out and whether the materials placed before this Court disclose grave suspicion against the accused which has not been properly explained. In such an eventuality, the court is justified in framing the charges and proceeding with the trial. The court has to consider the broad probabilities of the case, the total effect of the evidence and the documents produced before the court but court should not make a roving enquiry into the pros and cons of the matter and weigh evidence as if it is conducting a trial. ".....If the evidence which the Prosecutor proposes to adduce to prove the guilt of the accused even if fully accepted before it is challenged in cross-examination or rebutted by the defence evidence, if any, cannot show that the accused committed the offence, then there will be no sufficient ground for proceeding with the trial......"
97. In Palanisamy Gounder & Anr. v. State, represented by Inspector of Police, 2006(2) R.C.R. (Criminal) 235 : (2005) 12 SCC 327, this Court deprecated the practice of invoking the power under Section 319 Cr.P.C. just to conduct a fishing inquiry, as in that case, the trial court exercised that power just to find out the real truth, though there was no valid ground to proceed against the person summoned by the court. 99. Thus, we hold that though only a prima facie case is to be established from the evidence led before the court not necessarily tested on the anvil of Cross-Examination, it requires much stronger evidence than mere probability of his complicity. The test that has to be applied is one which is more than prima facie case as exercised at the time of framing of charge, but short of satisfaction to an extent that the evidence, if goes unrebutted, would lead to conviction. In the absence of such satisfaction, the court should refrain from exercising power under Section 319 Cr.P.C. In Section 319 Cr.P.C. the purpose of providing if `it appears from the evidence that any person not being the accused has committed any offence' is clear from the words "for which such person could be tried together with the accused." The words used are not `for which such person could be convicted'. There is, therefore, no scope for the Court acting under Section 319 Cr.P.C. to form any opinion as to the guilt of the accused. 100. In Joginder Singh & Anr. v. State of Punjab & Anr., AIR 1979 SC 339, a three-Judge Bench of this Court held that as regards the contention that the phrase "any person not being the accused" occurring in Section 319 Cr.P.C. excludes from its operation an accused who has been released by the police under Section 169 Cr.P.C. and has been shown in Column 2 of the charge-sheet, the contention has merely to be rejected. The said expression clearly covers any person who is not being tried already by the Court and the very purpose of enacting such a provision like Section 319 (1) Cr.P.C. clearly shows that even persons who have been dropped by the police during investigation but against whom evidence showing their involvement in the offence comes before the criminal court, are included in the said expression. 101. In Anju Chaudhary v. State of U.P. & Anr., 2013(1) R.C.R. (Criminal) 686 : 2013(1) Recent Apex Judgments (R.A.J.) 46 : (2013)6 SCC 384, a two-Judge Bench of this Court held that even in the cases where report under Section 173(2) Cr.P.C. is filed in the court and investigation records the name of a person in Column 2, or even does not name the person as an accused at all, the court in exercise of its powers vested under Section 319 Cr.P.C. can summon the person as an accused and even at that stage of summoning, no hearing is contemplated under the law. 102. In Suman v. State of Rajasthan & Anr., 2009(4) R.C.R. (Criminal) 908 : 2009(6) Recent Apex Judgments (R.A.J.) 365 , a two-Judge Bench of this Court observed that there is nothing in the language of this sub-section from which it can be inferred that a person who is named in the FIR or complaint, but against whom charge-sheet is not filed by the police, cannot be proceeded against even though in the course of any inquiry into or trial of any offence, the court finds that such person has committed an offence for which he could be tried together with the other accused. In Lal Suraj (supra), a two-Judge Bench held that there is no dispute with the legal proposition that even if a person had not been charge-sheeted, he may come within the purview of the description of such a person as contained in Section 319 Cr.P.C. A similar view had been taken in Lok Ram (Supra), wherein it was held that a person, though had initially been named in the FIR as an accused, but not charge-sheeted, can also be added to face the trial. 103. Even the Constitution Bench in Dharam Pal (CB) has held that the Sessions Court can also exercise its original jurisdiction and summon a person as an accused in case his name appears in Column 2 of the chargesheet, once the case had been committed to it. It means that a person whose name does not appear even in the FIR or in the charge-sheet or whose name appears in the FIR and not in the main part of the chargesheet but in Column 2 and has not been summoned as an accused in exercise of the powers under Section 193 Cr.P.C. can still be summoned by the court, provided the court is satisfied that the conditions provided in the said statutory provisions stand fulfilled. 105. In Sohan Lal & Ors. v. State of Rajasthan, 1990(3) R.C.R. (Criminal) 610 : (1990)4 SCC 580, a two-Judge Bench of this Court held that once an accused has been discharged, the procedure for enquiry envisaged under Section 398 Cr.P.C. cannot be circumvented by prescribing to procedure under Section 319 Cr.P.C. 106. In Municipal Corporation of Delhi v. Ram Kishan Rohtagi & Ors., 1983(1) R.C.R. (Criminal) 73 , this Court held that if the prosecution can at any stage produce evidence which satisfies the court that those who have not been arraigned as accused or against whom proceedings have been quashed, have also committed the offence, the Court can take cognizance against them under Section 319 Cr.P.C. and try them along with the other accused. 108. Both these provisions contemplate an inquiry to be conducted before any person, who has already been discharged, is asked to again face trial if some evidence appears against him. As held earlier, Section 319 Cr.P.C. can also be invoked at the stage of inquiry. We do not see any reason why inquiry as contemplated by Section 300(5) Cr.P.C. and Section 398 Cr.P.C. cannot be an inquiry under Section 319 Cr.P.C. Accordingly, a person discharged can also be arraigned again as an accused but only after an inquiry as contemplated by Sections 300(5) and 398 Cr.P.C. If during or after such inquiry, there appears to be an evidence against such person, power under Section 319 Cr.P.C. can be exercised. We may clarify that the word `trial' under Section 319 Cr.P.C. would be eclipsed by virtue of above provisions and the same cannot be invoked so far as a person discharged is concerned, but no more. 109. Thus, it is evident that power under Section 319 Cr.P.C. can be exercised against a person not subjected to investigation, or a person placed in the Column 2 of the Charge-Sheet and against whom cognizance had not been taken, or a person who has been discharged. However, concerning a person who has been discharged, no proceedings can be commenced against him directly under Section 319 Cr.P.C. without taking recourse to provisions of Section 300(5) read with Section 398 Cr.P.C.? Q.1 What is the stage at which power under Section 319 Cr.P.C. can be exercised? Q.III Whether the word "evidence" used in Section 319(1) Cr.P.C. has been used in a comprehensive sense and includes the evidence collected during investigation or the word "evidence" is limited to the evidence recorded during trial? A. In Dharam Pal's case, the Constitution Bench has already held that after committal, cognizance of an offence can be taken against a person not named as an accused but against whom materials are available from the papers filed by the police after completion of investigation. Such cognizance can be taken under Section 193 Cr.P.C. and the Sessions Judge need not wait till `evidence' under Section 319 Cr.P.C. becomes available for summoning an additional accused. ? Section 319 Cr.P.C., significantly, uses two expressions that have to be taken note of i.e. (1) Inquiry (2) Trial. As a trial commences after framing of charge, an inquiry can only be understood to be a pre-trial inquiry. Inquiries under Sections 200, 201, 202 Cr.P.C. ; and under Section 398 Cr.P.C. are species of the inquiry contemplated by Section 319 Cr.P.C. Materials coming before the Court in course of such enquiries can be used for corroboration of the evidence recorded in the court after the trial commences, for the exercise of power under Section 319 Cr.P.C., and also to add an accused whose name has been shown in Column 2 of the charge-sheet. In view of the above position the word `evidence' in Section 319 Cr.P.C. has to be broadly understood and not literally i.e. as evidence brought during a trial. Q.II Whether the word "evidence" used in Section 319(1) Cr.P.C. could only mean evidence tested by cross-examination or the court can exercise the power under the said provision even on the basis of the statement made in the examination-in-chief of the witness concerned? A. Considering the fact that under Section 319 Cr.P.C. a person against whom material is disclosed is only summoned to face the trial and in such an event under Section 319(4) Cr.P.C. the proceeding against such person is to commence from the stage of taking of cognizance, the Court need not wait for the evidence against the accused proposed to be summoned to be tested by cross-examination. Q.IV What is the nature of the satisfaction required to invoke the power under Section 319 Cr.P.C. to arraign an accused? Whether the power under Section 319 (1) Cr.P.C. can be exercised only if the court is satisfied that the accused summoned will in all likelihood be convicted? A. Though under Section 319(4)(b) Cr.P.C. the accused subsequently impleaded is to be treated as if he had been an accused when the Court initially took cognizance of the offence, the degree of satisfaction that will be required for summoning a person under Section 319 Cr.P.C. would be the same as for framing a charge. The difference in the degree of satisfaction for summoning the original accused and a subsequent accused is on account of the fact that the trial may have already commenced against the original accused and it is in the course of such trial that materials are disclosed against the newly summoned accused. Fresh summoning of an accused will result in delay of the trial - therefore the degree of satisfaction for summoning the accused (original and subsequent) has to be different. Q.V Does the power under Section 319 Cr.P.C. extend to persons not named in the FIR or named in the FIR but not charge-sheeted or who have been discharged? A. A person not named in the FIR or a person though named in the FIR but has not been charge-sheeted or a person who has been discharged can be summoned under Section 319 Cr.P.C. provided from the evidence it appears that such person can be tried along with the accused already facing trial. However, in so far as an accused who has been discharged is concerned the requirement of Sections 300 and 398 Cr.P.C. has to be complied with before he can be summoned afresh.